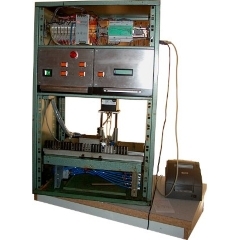 "The PLC is a general-purpose controller with a wide variety of applications. It is useful to the engineer, technician, student and hobbyist. All the source files for the small brick OSPLC are provided, including schematic diagrams so that you can build this project yourself or modify it."